The Saginaw-Tuscola Medical Control Authority (STMCA) is responsible for assuring medical accountability within the Emergency Medical Services System in Saginaw and Tuscola Counties through the promulgation of minimum standards of medical care, protocols, and operating policies and procedures, consistent with the Public Health Code of Michigan. To administer medical control within Saginaw and Tuscola Counties, the STMCA receives its funding and resources from the four hospitals that operate within the two counties. Covenant Healthcare, Ascension-St. Mary’s of Michigan, McLaren Caro Region, and Hills and Dales General Hospital. Central Michigan University Medical Education Partners acts as the resource agency to administer the funds from the hospitals and provide the STMCA with office space for administration. Currently, the STMCA provides medical oversight to thirty transporting and non-transporting agencies including two rotary wing Air Medical Services. Altogether, these services are comprised of nearly 650 individual providers that are licensed from Medical First Responder to Paramedic. Saginaw and Tuscola Counties are comprised of both urban and rural regions with a population totaling roughly 250,000. Major industries include agriculture, manufacturing, and medical services. Both counties have a wide range of socioeconomic ranges with large gaps in primary versus tertiary care. Saginaw County is comprised of largely urban and suburban areas, while Tuscola County is a mostly rural population. The total geographical area of both counties combined is 1730 square miles. All of this together makes for a well rounded, yet busy system that the Saginaw-Tuscola Medical Control Authority is charged with providing medical oversight, education assistance and quality improvement. Assure medical accountability within the Medical Control Zone. Author and maintain guidelines and protocols for providers in the system to ensure continuity of care. Establish minimum standards for all providers by requiring additional education and certification. Administer and monitor the orientation process for all new providers. Verify the licensure and certification of each individual and agency. Research and resolve incident reports generated by agencies, providers and the public. Provide daily quality assurance review as directed by the Professional Standards Review Organization. Coordinate, monitor, evaluate and plan for EMS in Saginaw and Tuscola Counties in conjunction with the county and municipal governments and other agencies functioning within the EMS System. Assure the availability and efficacy of training and continuing education programs; systems telecommunication procedures; patient care quality review procedures; personnel skills assessment testing; and vehicle and equipment standards of operation and inspection. Act in advisory capacity to township, municipal, and county boards of commissioners on matters pertaining to the provision of emergency medical services within the Saginaw and Tuscola County Emergency Medical Services System. Assist the Medical Control Board in maintaining liaisons with or functioning as an advisory body t other agencies responsible for emergency medical services activity at state or regional levels. Each hospital member of the Authority that provides funding for the STMCA appoints one member to the Board of Directors of the Authority. There are always as many directors as there are members of the Authority. Hence, with four area hospitals providing funding for the STMCA, there are currently four members on the Board of Directors. This group meets at least annually to discuss and approve the overall direction of the STMCA. They act on the recommendations of the Medical Director and the Medical Control Board. Two designated representatives of each hospital member of the Authority. A representative from each type of Life Support Agency functioning in the EMS System. 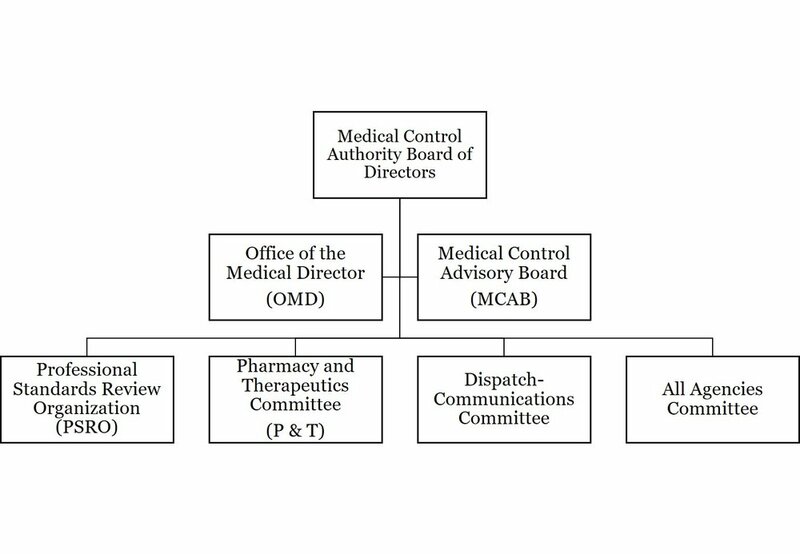 The Chairman of each standing committee of the Medical Control Board. The Director of Saginaw and Tuscola Central Dispatch or his/her designee. Each type or category of emergency medical services personnel functioning within the EMS System has a designated representative.